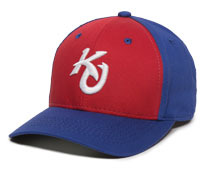 All lettering styles, mascots, sports icons, and name drop designs shown in the catalog are stock embroidery designs. Choose 1-3 letters, 1-2 colors. No set-up charges apply. Orders may be split 24/24 without any changes to the logo, including logo size, thread color, or location. Orders of 12-47 pieces will incur a $100 set-up charge. Orders less than 12 pieces will not be accepted. Orders may be split 24/24 without any changes to the logo. Orders of 24-47 pieces will incur a $40 set up charge. Orders less than 24 pieces will not be accepted. Please email or call for a quote. 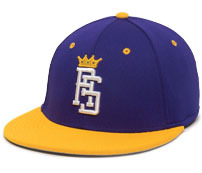 OC Sports Name Drop designs give your headwear the custom look that everyone will surely notice. Mascots and Sports Icons can be sized for full front design as well as secondary embroidery locations on the back and sides of cap. Select from our extensive list of stock lettering fonts for individual letters or wording designs. All patches are placed on front center location of cap. Additional embroidery can be placed according to the embroidery placement & size chart shown above. 48 pieces per cap style. May split 24/24 if using same patch and same cap style. May order additional patches to accompany an order. Additional patches must be the same patch as applied to the cap order. Virtuals: Next business day. If using Creative Patch Design Services, up to 3 business days. Main Production: 7 business days after approval and receipt of PO. Embroidery and embroidered patch art files need to be in vector format (non-vector art will require additional lead-time to receive virtuals), Adobe Illustrator (.ai), encapsulated PostScript (.eps) or scalable vector graphic (.svg). Please provide size and PMS color specifications with artwork submission. Digitizing services and set up fees are free. Creating vector artwork will increase lead time and design time. Accurate re-creation cannot be guaranteed. 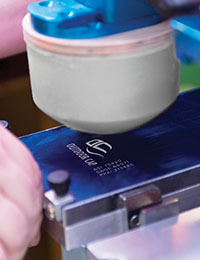 Outdoor Cap reserves the right to alter a customers' file to deliver a quality product. Outdoor Cap will match PMS with closest matching thread and may need to alter the artwork to best fit the decoration space or decoration technique. Embroidery and Fabric Patches: Vector art in .ai, .eps or .svg format. JPEG, DST or other art types will increase the lead time for sample sew out or virtual. Redrawing artwork of any type will increase lead time and design time. Accurate re-creation cannot be guaranteed. Sublimated Patches: Raster file at least 300 dpi in .jpg, .gif, .png, .tif, .psd or .bmp format. All shipments are FOB - Bentonville, AR. 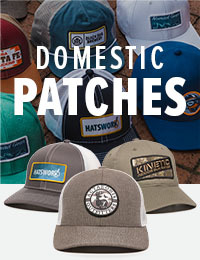 Domestic patch phone orders are not accepted.  Every effort will be made to ship exact quantities as ordered. Over/under run rate of 5% is standard on all embroidered orders. Orders over 720 pieces may require additional days. Call for lead time. Changes to an order in process may be made if customer agrees to any applicable charges incurred and acknowledges delivery date will be extended. No cancellations are accepted after order has entered into production. Our easy, fully automated lettering system allows you to check stock availability on all team styles and customize your cap in less than 10 clicks. If you already have your "one of a kind" design or if you need some help in creating your custom look, your knowledgeable and friendly Account Lead will be glad to work with you to develop your custom design. Choose your design & color to coordinate with your headwear. Contact your Account Lead to place your order today!